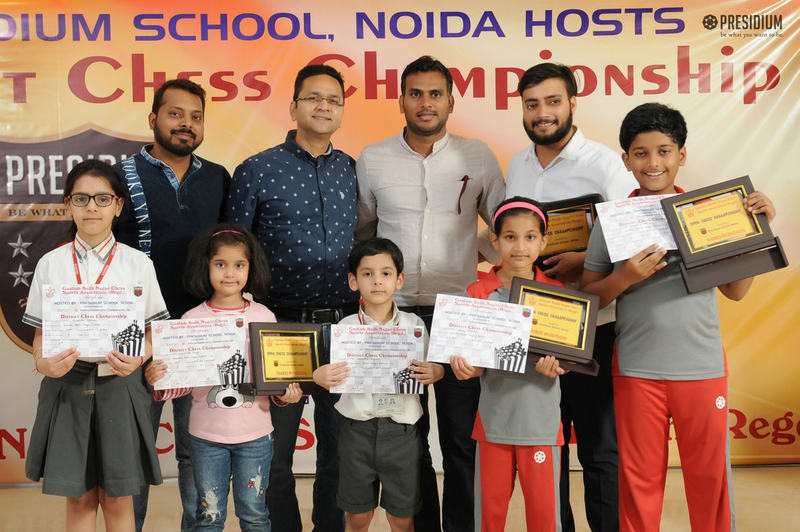 Presidium congratulates the winners of the Chess Tournament at District level organised by Gautam Budh Nagar Chess Sports Association. 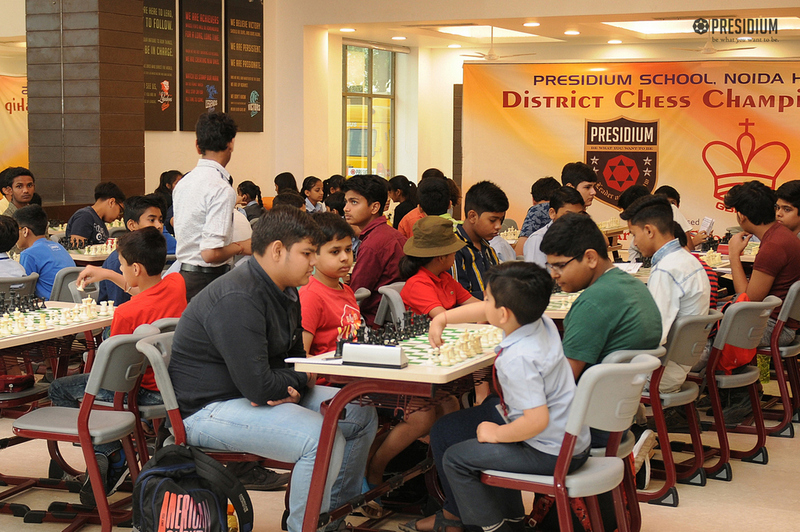 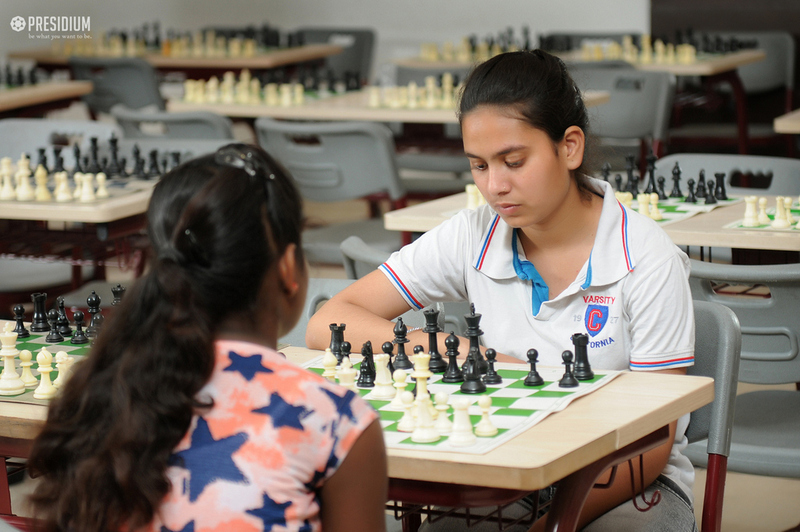 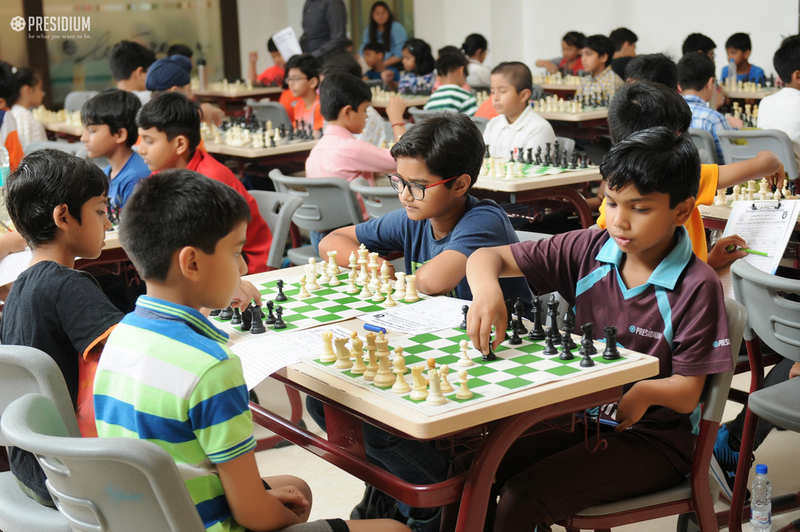 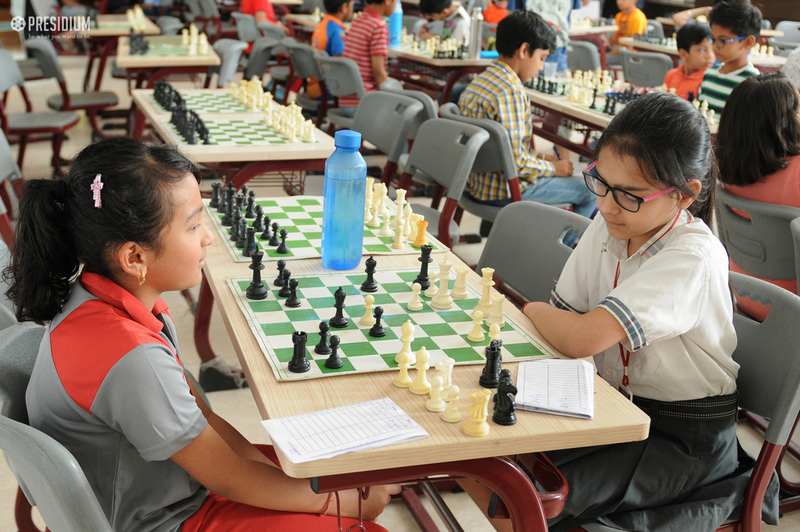 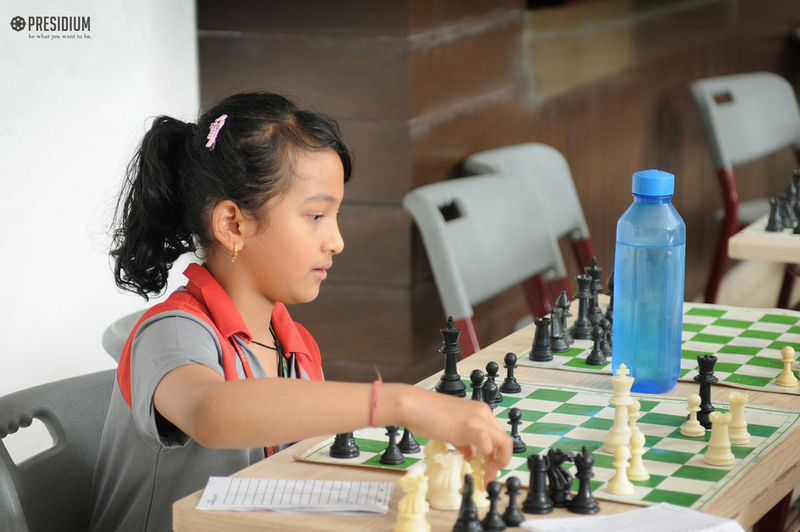 Presidium Noida sector 31 hosted the chess tournament in which 30 schools with 150 students participated enthusiastically for under 7, 11 and open age category. 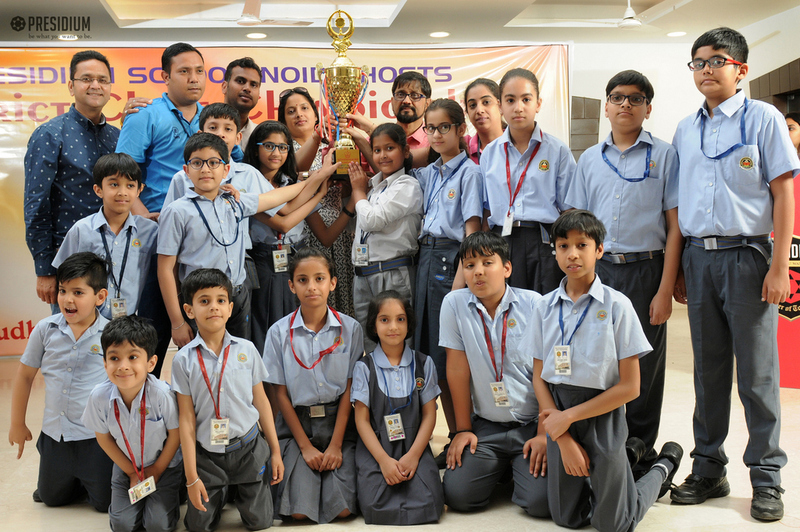 This was to provide a platform for students to improve on logical thinking, analytical reasoning and problem solving. 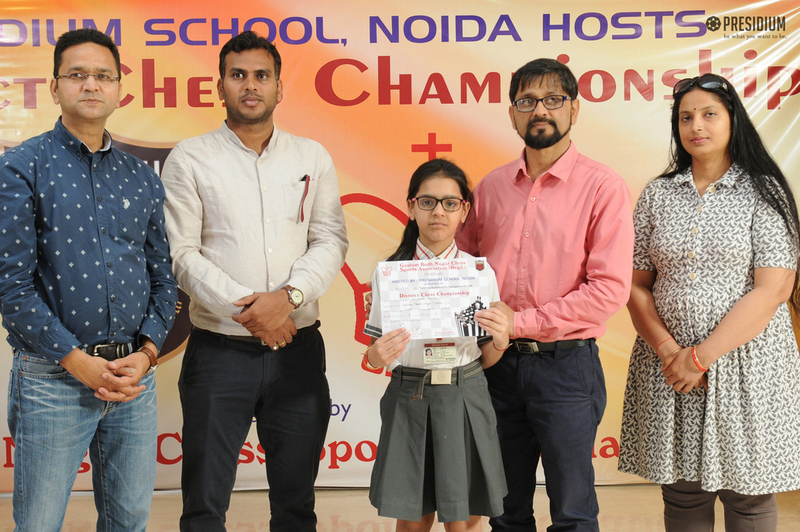 Aarini Bhandari of Presidium secured 1st position in under 11-Girls category and got selected for Under 11 Girls for U.P State Tournament which is going to be held in Maharajganj U.P. 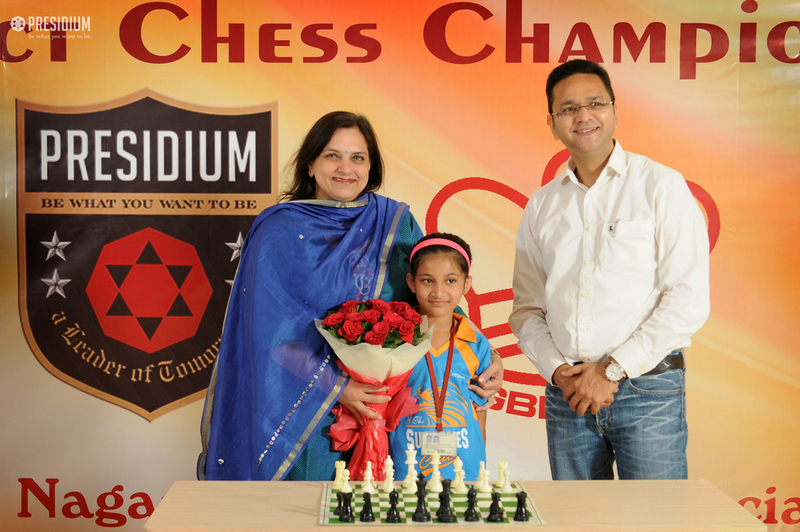 Another star Advaitt S Koduri secured 3rd position in under 11 Category. 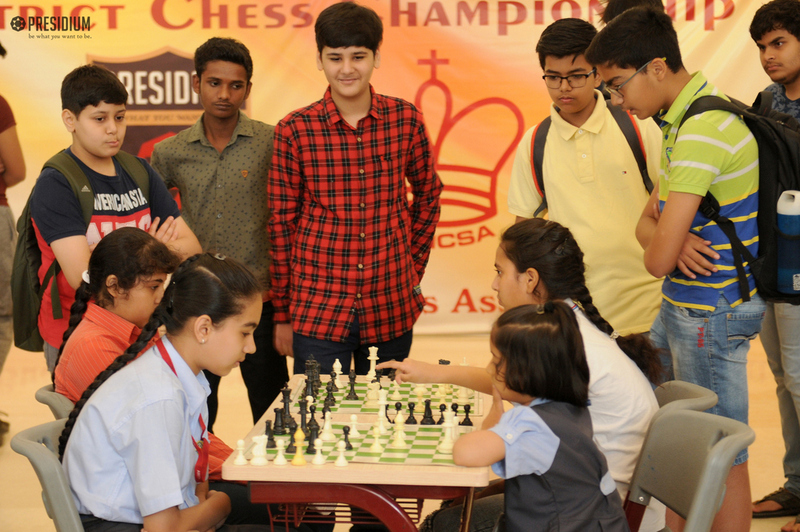 The programme commenced with an informational presentation on the benefits of chess and made the children recall the renowned chess personalities through ages. 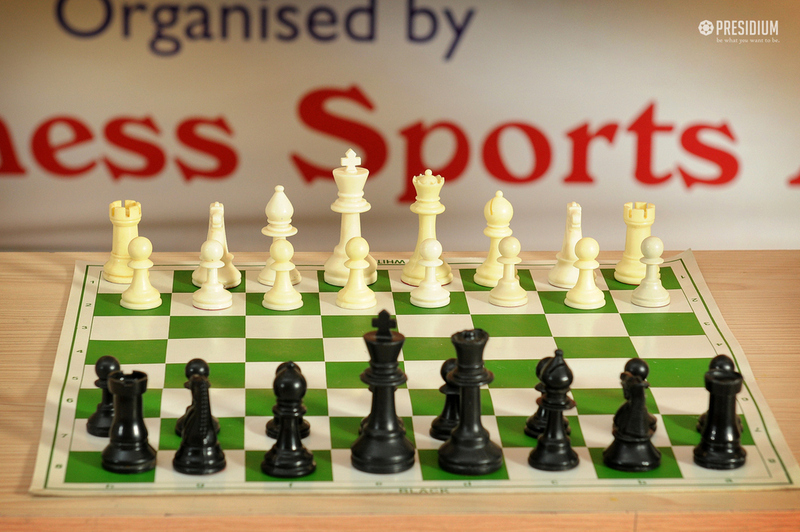 Chess strategy is concerned with evaluation of chess positions with setting up goals and long-term plans for the future play. 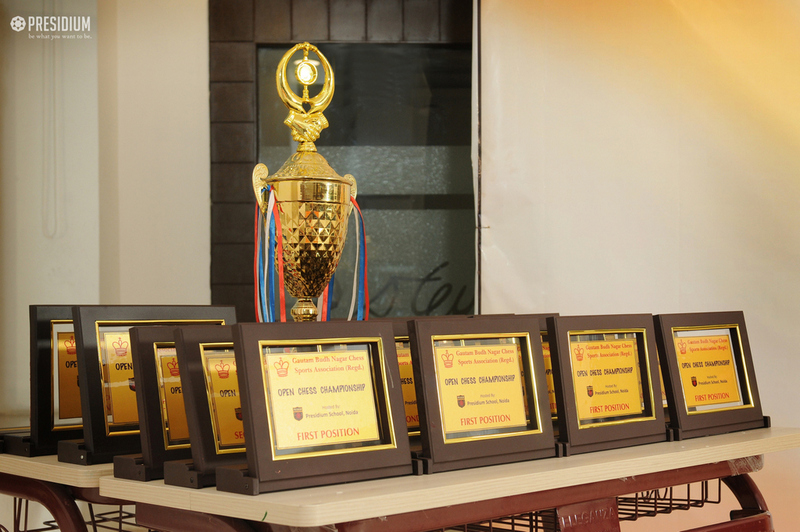 All the participants were exceptionally bright and were capable of taking quick decision and action wherever needed. 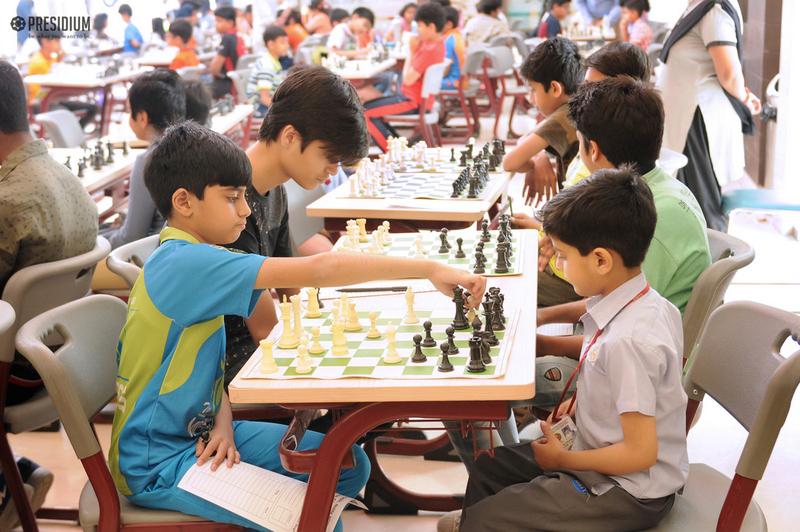 Children enjoyed themselves and gained valuable experience for future competitions. 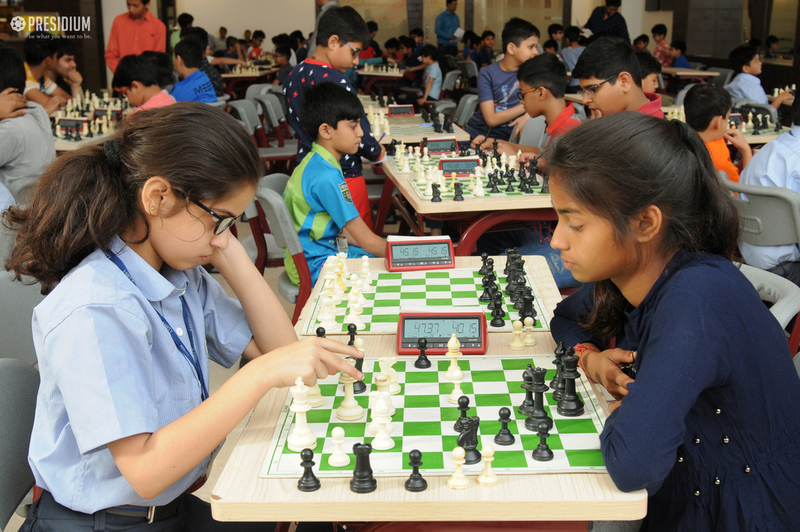 We applaud these students on their outstanding performance and wish them well as they persist with their favourite game. 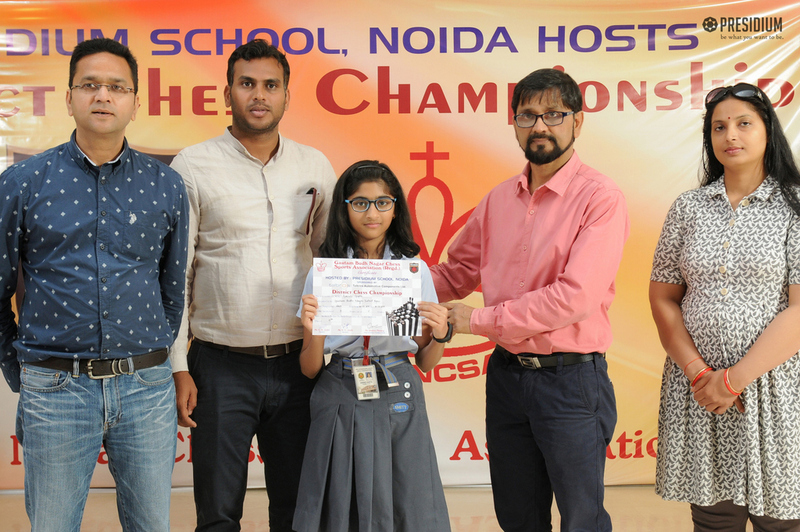 We look forward to the same enthusiastic participation from all the students in the upcoming future.